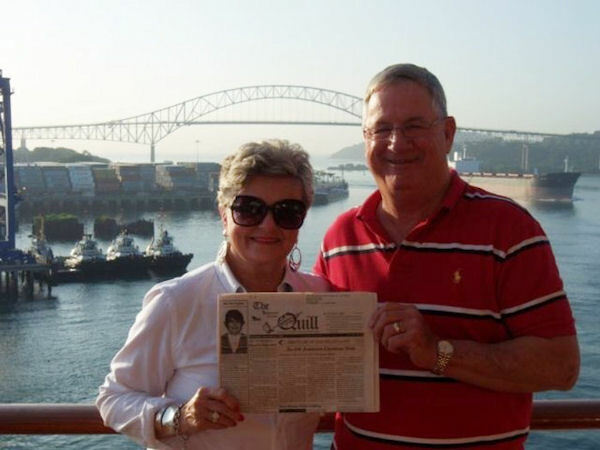 Bob and Carol Dillon of Stronghurst took "The Quill Along" from San Diego, CA, December 6, 2009 and sailed thru the Panama Canal ending in Miami, FL on December 20,. They enjoyed several stops including Mexico, Costa Rico, Panama and Columbia. It was a great trip. When you go on a trip, take "The Quill" along and have your picture taken with it, then send it to us. Let's see where all "The Quill" can travel.